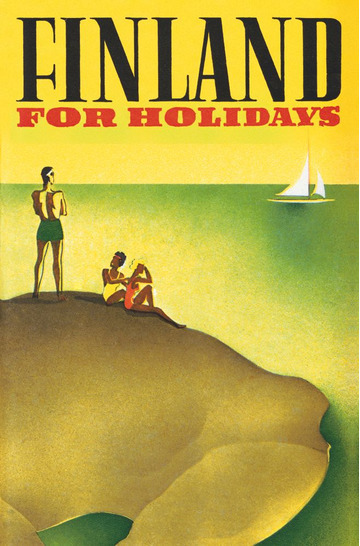 Surely it must have felt like a small, a really small, uphill climb when Finland in the 1930’s tried to depict itself as a sun and beach paradise. But we love that kind of cockiness. Of course we have that one month, July that is, when everything in this poster is true. Or…almost at least. To fry yourself on the beach was of course not something given from the start. But when the fashion icon Coco Chanel in 1923 came back from Cannes with a – accidental, it is said – sunburn, it all changed. 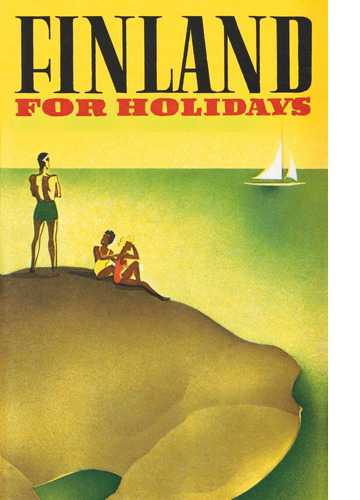 Soon Finland caught up with the trend. Now even the men were supposed to sunbathe.